No word if these Dark Souls rings raise max equipment burden or decrease fall damage, but they do look nice! As Famitsu points out, Japanese brand Torch Torch has men’s and women’s Havel’s Rings and Silvercat Rings. Slated for August, the Havel’s Ring is made from 925 silver and priced at 18,900 yen (US$171). 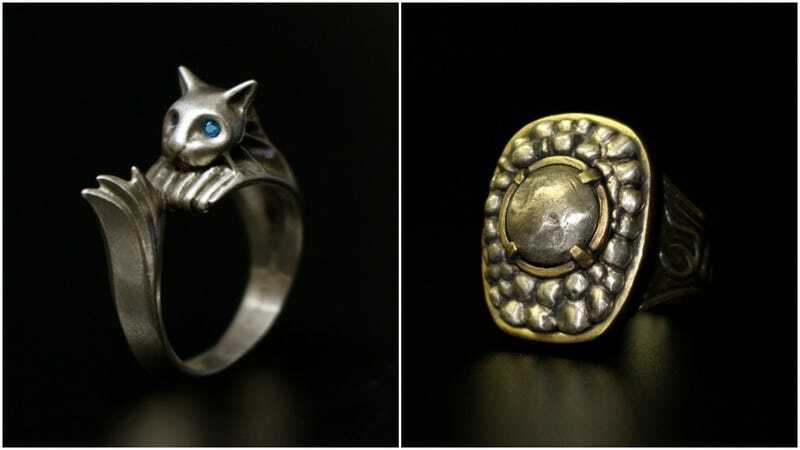 The Silvercat Ring is also made from 925 silver with cubic zirconia stones for the feline’s eyes. It’s also 18,900 yen (US$171) and will be out this July.